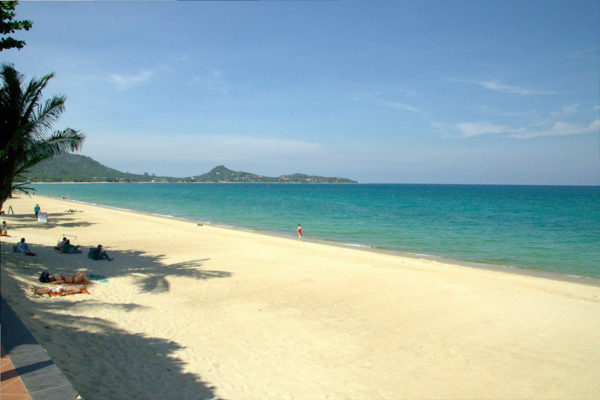 Lamai Beach, situated a couple of bays to the south of Koh Samui’s most famous beach, Chaweng, has long been considered the latter’s poor cousin. The beach isn’t as long, the off-white sand isn’t as fine and the restaurants and bars lack the range and quality of those on Chaweng. That being said, both the guesthouses and resorts are considerably cheaper and Lamai Beach seems never as busy. So for those looking for value for money and smaller crowds, it can be a good choice. The beach has three distinct areas, the north running from the headland to Sand Sea Resort, then the central and southern stretches. The north is quieter, with less development but there’s a reason for this – the beach is prone to mudflats at low tide and, due to storm water run off from a creek between Sand Sea and Laguna Resorts, after rain, the water along this stretch can become extremely dirty. The central and southern stretches on the other hand have far cleaner water but on the central stretch there’s more development and both areas have a lot of jet ski action. Off the beach, Lamai has a small range of restaurant and entertainment options when compared to Chaweng and overall has a pretty low-rent feel to it, in no small part due to the dozens upon dozens of girlie bars that line the road and anywhere else you can stick a shack with a few stools. 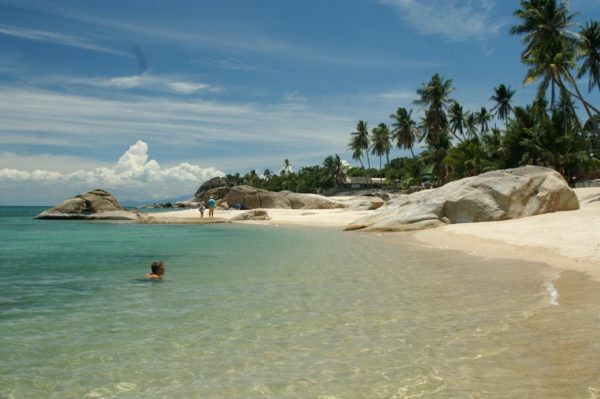 You can escape most of this by heading back down to the beach where there’s a smattering of typical beach-seafood type places – prices are considerably lower than Chaweng and the food can be very good. Overall if you’re content to just lay on the beach and have low-key nights – all without spending mega-bucks, then Lamai can be a fine choice, but if you’re looking for a wide range of eateries and entertainment venues, then Bophut or Chaweng are better options.